Books at JSTOR - An initiative to publish scholarly books online. Books will be cross-searchable with the millions of journal articles and primary sources on JSTOR, linked through its vast network of citations, contextualized by more than 1 million book reviews on the platform, and provide an online research experience marked by personalized, user-driven functionality. Gale - A world leader in e-research and educational publishing for libraries, schools and businesses. Legenda - Scholarly books in the humanities. Lynne Rienner Publishers - Academic and scholarly books and journals in the social sciences and humanities, including the Three Continents series of distinguished titles in fiction, poetry, and criticism. Peter Lang Publishing Group - Publishes the full range of academic titles -monographs, collected papers, conference proceedings, Festschriften, journals, yearbooks - and covers all disciplines. It has particular strengths in modern languages (with several long-established series in French and German studies) and theology. But the programme is constantly expanding and moving into different areas with new series in history of medicine, linguistics, drama, cinema, cultural identity, and American studies among others. Rodopi - Independent academic publishing house. SpringerLink - The premier electronic data source from Springer for researchers in biomedicine, life science, clinical medicine, physics, engineering, mathematics, computer science, humanities, and economics. Transaction Publishers - Major publishing house for international social science. Located on campus of Rutgers University. American Lawyer Media, Inc. - From award-winning reporting found in publications such as the New York Law Journal, The National Law Journal and The American Lawyer, to ALM's professional content featured on Law.com and other leading websites, ALM is an important source for legal news, information and services. Aspen Publishers - A leading information provider for attorneys, business professionals, and law students. Bernan - A leading distributor of publications from the United States government and intergovernmental organizations, and a respected publisher of critically acclaimed reference works based on government data. Bernan is the largest private distributor of U.S. government publications. Additionally, Bernan also represents some of the largest and most prolific publishers in the world, including the United Nations, the Office for Official Publications of the European Communities, The Stationery Office, the World Bank, the World Health Organization, the World Intellectual Property Organization, UNESCO, the Food and Agriculture Organization, and many others. Berrett-Koehler - Focuses on the areas of work, business, and organizations. Bureau of National Affairs, Inc. (BNA) - A leading publisher of print and electronic news and information reporting on developments in health care, business, labor relations, law, economics, taxation, environmental protection, safety, and other public policy and regulatory issues. Also, see BNA Books. Butterworth-Heinemann Publishers - A leading international publisher of technical, business and management and medical books, software and visual aids. Reed Business Information - A leading business-to-business publisher, produces market-leading print publications, Websites, newsletters, directories, data services and lead generation services. Carroll Publishing - Provider of updated information on over 200,000 government decision-makers and key staff at the federal, state, and local levels. Detailed information on all federally funded defense programs. Contact information for over 10,000 key personnel at over 1,300 U.S. defense contracting firms. CCH - A leader in tax and business law information and software for accounting, legal, human resources, securities, insurance, health care and small business professionals. CIA Electronic Document Release Center - The CIA has established this site to provide the public with access to CIA information, including electronic access to previously released documents. Congressional Digest Corporation - Publishers for legal and educational fields. CQ Press - A leading publisher of books, directories, subscriptions, and Web products on American politics, federal and state government, American institutions, campaigns and elections, current events, and world affairs. CQ Researcher, Staff Directories, CQ Press, and Congressional Quarterly. Crain Communications Inc. - A publishing company producing business, trade and consumer newspapers and magazines. Factiva - Content from top national newspapers, business newswires, business journals, market research reports, analyst reports and web sites. Idelson Gnocchi Publisher Ltd. - Scientific publishing. James Publishing - Independent law book publisher. Lancaster House - Labor, employment and human rights law. Lawyers and Judges Publishing Company - Quality resources in legal fields, especially accident reconstruction and litigation. Lexis Publishing - Matthew Bender, Michie and Shepard's. Extensive legal, government, business, high-tech, news, public records online databases. Longhouse - Poetry and prose. National Academy Press (NAP) - The National Academy Press was created by the National Academies to publish the reports issued by the National Academy of Sciences, the National Academy of Engineering, the Institute of Medicine, and the National Research Council, all operating under a charter granted by the Congress of the U.S. NAP publishes over 200 books a year on a wide range of topics in science, engineering, and health, capturing the most authoritative views on important issues in science and health policy. Oceana Law Publications - Premier publisher of international legal information specifically designed for law librarians, practicing attorneys, business executives, academicians, and researchers worldwide. Thompson Publishing Group - Authoritative source for interpretation of complex laws and regulations. U.S. Government Printing Office (GPO) - Producing, procuring, and disseminating printed and electronic publications of the Congress as well as the executive departments and establishments of the Federal Government. UNESCO Publishing - This site presents titles currently for sale in English, French, Spanish, Russian and Arabic published or co-published by UNESCO. These include books, multimedia (DVDs, CD-Roms, VHS videos), periodicals, and scientific maps for professionals. Westlaw - Bancroft-Whitney (BW), Clark Boardman Callaghan (CBC), Lawyers Cooperative Publishing (LCP), Westlaw and West Publishing companies. Africa World Press and The Red Sea Press - Quality literature on the history, culture, politics of Africa and the African Diaspora. AK Press, Inc. - Oakland, CA. Radical books and other materials. As well as those titles listed on this website, AK Press carries (or can order) the complete lists of a number of publishers - Autonomedia, Black Rose, City Lights, Cleis, Common Courage, Creation, Freedom, New Press, See Sharp, Semiotext(e), Soft Skull, South End Press, ST Publishing, Verso, III and others. Akashic Books - Brooklyn, NY. Urban literary fiction and political non-fiction. Algora Publishing - New York, NY. History, international affairs, and political economy. American Political Biography Press - Newtown, CT. Dedicated to keeping definitive presidential biographies in print and available to interested readers. Anness Publishing Ltd. - Leicester, England. UK publisher on subjects ranging from cooking and crafts to gardening, new age, reference, hobbies and transport. Apex Press - Publishing arm of the Council on International & Public Affairs (CIPA). Apex Press books provide critical analyses of and new approaches to significant economic, social and political issues in the United States, other industrialized countries, and the Third World. Arbeiter Ring Publishing (ARP) - Winnipeg, Manitoba, Canada. Publishing a dynamic combination of cultural, fiction, and non-fiction titles with an emphasis on left progressive political analysis of contemporary issues. Arcade Publishing - Quality American and world literature. Fiction and nonfiction. Archipelago Books - A not-for-profit press devoted to publishing excellent translations of classic and contemporary world literature. Archive Editions (AE) - UK-based publishers of historical documents and maps. A leading source for records of the modern development of the Near and Middle East. Collections of political reports for the Middle East, South East Asia and East Asia. Evidence for boundary formation and disputes in the Balkans, the Caucasus and the Middle East. Autonomedia - Publishes books on radical media, politics and the arts that seek to transcend party lines, bottom lines and straight lines. Bancroft Press - Baltimore, Maryland. A general interest book publisher that seeks to produce high quality works of fiction and nonfiction. Baraka Books - A Quebec-based English-language book publisher specializing in creative and political non-fiction, history and historical fiction, and fiction. Basic Civitas - African and African American Studies. works by Cornel West, Michael Eric Dyson, Vernon Jordan and Henry Louis Gates, Jr., as well as the encyclopedia Africana. Beacon Press - Boston, MA. An independent publisher of non-fiction and fiction. Bellevue Literary Press - Devoted to publishing literary fiction and nonfiction at the intersection of the arts and sciences. Berrett-Koehler - San Francisco, California. Focuses on the areas of work, business, and organizations. Between the Lines - Toronto, Ontario, Canada. Social studies, economics, and the changing shape of the workplace. Critical perspectives on culture, economics, and society. Between the Lines (BTL): Interviews with Poets - London, England, UK and Stonington, CT, USA. Specializes in publishing in-depth interviews with senior contemporary poets. Black and Red Books - Detroit, Michigan. Publishing books and pamphlets with an anti-authoritarian perspective since 1968. Black Rose Books - Saint Paul, MN. Books that deal with important concerns such as gender equality, ecology, cities and neighbourhoods, and questions of peace, freedom and social justice. Black Sparrow Press - Santa Rosa, CA. Publishers in distinguished format of American avant-garde poetry, prose & literary criticism. Bloomsbury Publishing - A leading independent publishing house established in 1986. It has companies in London, New York, Sydney and New Delhi. Its four divisions include Bloomsbury Academic and Professional, Bloomsbury Information, Bloomsbury Adult Publishing and Bloomsbury Children's Publishing. Also see Bloomsbury Reader, offers an expansive selection of ebooks, many unavailable in print for years. Bowstring Books - Website of Sterling and Peggy Seagrave: Soldiers of Fortune, Yellow Rain, The Soong Dynasty, The Marcos Dynasty, Dragon Lady, Lords of the Rim, The Yamato Dynasty, Gold Warriors. Broadview Press - Publishing a broad range of political and philosophical viewpoints, from liberal and conservative to libertarian and Marxist; feminist perspectives; environmental issues. Burning Deck - Prose, fiction, experimental, avant garde, contemporary. Capital Books Inc. - Publishes non-fiction titles in the following areas of interest: self-help, personal and career development, business, lifestyles, travel, parenting and family, and memoirs. Carcanet - Manchester, England, United Kingdom. Modern literature and poetry. Chelsea Green - The politics and practice of sustainable living. China Books and Periodicals - San Francisco, CA. Books on every subject about China from language to history and literature to art. Christie Books - Anarchist book publisher. City Lights Publishers - San Francisco, CA. Run by San Francisco's poet laureate, Lawrence Ferlinghetti. Civil Coping Mechanisms (CCM) - "DIY kind of press offering a space for the innovation so sorely shamed and disregarded as unmarketable by the major and indie presses too busy selling the next celebrity memoir, paper-thin creative nonfiction spine of lies, the wax-intellectual pursuits of yet-again the same vision wrapped in newer trim, or the same regurgitated genre-fiction and prose you'd expect would have become stale by now." Clarity Press - An independent progressive publisher on global issues and alternatives with particular focus on human rights and social justice. Coach House Books - Toronto, Ontario, Canada. Canadian poetry, experimental fiction, artist books and drama. Tucked away on Toronto's historic bpNichol Lane, Coach House Books has been publishing and printing high-quality innovative fiction and poetry since 1965. A collaborative operation involving regular staff and an ever-changing number of people from the writing, artistic, and publishing communities. From 1997-2002 the Coach House embarked on an ambitious and unprecedented project: to put the contents of its frontlist books online for free. Common Courage Press - Monroe, ME. Publishes books for social justice on race, gender, feminism, economics, ecology, labor and U.S. domestic and foreign policy. Commune Editions - Purveyor of poetry and other antagonisms. Published in partnership with AK Press and distributed in the U.S. and Canada by Consortium. Copper Canyon Press - Port Townsend, WA. Poetry. Counterpoint Press - Washington, D.C. Publishes serious literary work, with an emphasis on natural history, science, philosophy and contemporary thought, history, art, poetry, and fiction. Counterpoint Press authors have received many awards, including: PEN/Faulkner Award, National Book Critics Circle Award, Bollingen Poetry Prize, T.S. Eliot Award, PEN Translation Prize, Bay Area Book Reviewers Award, Robert Kirsch Lifetime Achievement Award from the Los Angeles Times, Lannan Lifetime Achievement Award, and the Harold Morton Landon Prize from the Academy of American Poets. Chelsea Green Publishing Company - Books for sustainable living. Cune Press - Essays, travel, history, poetry, fiction. Cyclops Press - An independent, artist-run, micro publisher. Cyclops Press' early titles have featured the writers and poets Al Purdy, Catherine Hunter, Terrance Cox, Patrick Lane, Ricardo Sternberg, Lorna Crozier, Sean Virgo, and Clive Holden. Dalkey Archive Press - Normal, IL. Literary art, contemporary novelists. Dharma Publishing - Berkeley, CA. Buddhist art and thankas. Dzank Books - Literary fiction, including short story collections and novel. Eberhardt Press - Dedicated to bringing anarchist and anti-authoritarian voices to print. Europa Editions - Publishes works of literary fiction, high-end mystery and noir, and narrative non-fiction from around the world. Europa Editions was founded in 2005 by Sandro Ferri and Sandra Ozzola Ferri, who are also the owner-publishers of Rome-based Edizioni E/O, one of Europe's most prestigious independent publishing houses. Felony and Mayhem Press - Intelligent mystery fiction. Fernwood Books - Canadian sales and distribution company for a number of social science and humanities publishers. Firefly Books - A North American publisher of non-fiction and distributor of non-fiction and children's books. Firefly's goal is to bring readers beautifully produced books written by experts at reasonable prices. Floating Bridge Press - Seattle, WA. Poetry and anthologies. Formac Lorimer Books - Canadian publisher. General trade, Canadian history, biography, politics, public issues, academic. Freedom Press - London, England, United Kingdom. Anarchist material. Full Enjoyment Books - San Francisco, CA. Glimmer Train Press, Inc. - Portland, OR. Publishers of Writers Ask, a newsletter for serious writers, and Glimmer Train Stories, a respected short-story journal. Granary Books - New York, NY. Publisher of artists' books, poetry and documentation. Graywolf Press - St. Paul, MN. Poetry, essays. Green Books - Publishers of books about the environment, ecology, gardening, organics, conservation and green issues. Hal Leonard Performing Arts Publishing Group - Home to the Amadeus Press, Backbeat Books, Limelight Editions, Applause Theatre, and Hal Leonard Books imprints, as well as many distributed reference books. Hanging Loose Press - Poetry. Brooklyn, NY. Haus Publishing - London. International literature, biography, travel writing (not guide books), history and fiction. Haymarket Books - A non-profit, progressive book distributor and publisher, a project of the Center for Economic Research and Social Change. Intellect - An independent academic publisher in the fields of creative practice and popular culture, publishing scholarly books and journals. Publishes in four subject areas: visual arts, film studies, cultural and media studies, and performing arts. Also provides free access to some journals. Interlink Books - Northampton, MA. World travel, history, literature and music. Interlink Publishing - Travel, literature, history and politics, art, music, health and cooking, children's books. International Publishers - New York, NY. Extensive selection of books by Marx, Engels, Lenin and other Marxist scholars and activists. Island Press - Reliable, peer reviewed information to help solve environmental problems. Issuu - With over 15 million publications, Issuu is the fastest growing digital publishing platform in the world. Millions of avid readers come here every day to read the free publications created by enthusiastic publishers from all over the globe with topics in fashion, lifestyle, art, sports and global affairs. Jossey-Bass - Books and periodicals on leadership, business, education, religion and spirituality, parenting, nonprofit, public health and health administration, conflict resolution and relationships. Kessinger Publishing's Rare Reprints - Publishes and digitally preserves rare and hard-to-find books. Kumarian Press - Kumarian's range of topics has expanded over the years to include issues of globalization, peace and conflict resolution, the environment, women and gender, NGOs, civil society, microfinance, human rights, governance and international health. The company pioneered publishing books emphasizing a people-centered approach to development. Lawrence & Wishart - London, England. Independent radical publishing. Unfortunateley, it is also asserting copyright ownership over the 50-volume, English-language edition of the Collected Works of Marx Engels, demanding that the estimiable Marxist Internet Archive (MIA) take down hundreds of works by Karl Marx and Friedrich Engels or face legal consequences. MIA's response. LeftWord Books - Seeks to reflect views of the left in India and South Asia. Publishes critical and analytical works on a range of subjects, paying special attention to works on Marxist theory. LibertarianBooks — Sweden - Free culture for all. Limelight Editions - Limelight offers essential resources for working and aspiring actors, producers, writers, directors, filmmakers, set designers, and others, as well as guides to navigating a successful career in film and theatre. Mainstay Press - Books geared to social change, along with other political books - especially fiction. Maisonneuve Press - Began publishing in 1988 as a division of the Institute for Advanced Cultural Studies, a non-profit organization committed to progressive social change through cultural analysis and education. Go here to find a listing of its books. Marion Boyars Publishers - A literary, independent publishing house based in South West London renowned for being adventurous and sometimes controversial, we publish new fiction as well as non-fiction in the fields of film, music, social theory, philosophy and feminism. Its best known authors include Ken Kesey, Hubert Selby Jr, Hong Ying, Toby Litt, Kenzaburo Oe, Elif Shafak and Georges Bataille. McFarland - Noteworthy books about pop culture, sports, military, transportation, body and mind, literature, history and medieval studies, among other topics. Melville House - An independent publisher located in Brooklyn, New York. It was founded in 2001 by sculptor Valerie Merians and fiction writer/journalist Dennis Johnson. Mercury House - Nonprofit press in San Francisco publishing a mix of fiction (novels, story collections, literary classics, and works in translation) and nonfiction in areas such as environment and nature, literary travel, film and performing arts, human rights and indigenous peoples, women's studies, and biography and memoirs. Merrell - New York and London. Illustrated books on art, design, photography, architecture, fashion, gardens and interiors. Milkweed Editions - Minneapolis, MN. Literary publisher of high-quality books placing an emphasis on cultural diversity, environmental stewardship, exceptionally crafted poetry, and insightful literature for adults and children in the middle grades. Monthly Review Press - New York, NY. Dedicated to a Marxist analysis of politics and economics. MQP Publications - Illustrated non-fiction. Nation Books - New York, NY. A co-publishing venture of The Nation Institute and Thunder's Mouth Press, an imprint of Avalon Publishing Group/PGW. Publishes new works on politics, human rights, feminism, race, gay and lesbian issues, history, art and culture, popular science and the environment. New Directions - New York, NY. Interested in issuing influential foreign writers in translation (if poetry, often in bilingual editions), ND has helped promote in the U.S. the works of Celine, Apollinaire, Mishima, Rilke, Kafka, Montale, Lorca, Nabokov, the 1990 Nobel Prize Laureate Octavio Paz, and most recently Antonio Tabucchi, Shusaku Endo, and Bei Dao. New Press, The - New York, NY. Committed to publishing works of educational, cultural, and community value that may be deemed insufficiently profitable by commercial publishers. New Society Publishers - Gabriola Island, British Columbia, Canada. Focuses on books that contribute in fundamental ways to building an ecologically sustainable and just society. NewSouth Books, Inc. - Montgomery, AL. Literary fiction, poetry, and non-fiction (categories include memoir, biography, history), with a special emphasis on "committed literature" and books that explore the culture, history, and lore of the South. No Exit Press - London, England, United Kingdom. Crime fiction. NoBrow Press - Nobrow started in the winter of 2008 with the aim to provide an independent platform for graphic art, Illustration and art comics in the UK and abroad, to become a leading proponent of quality in book design and a standard bearer for original creative content in print publishing. North Atlantic Books - Arts, sciences, humanities, and healing. Oberon Books - Classic and modern plays; dance; opera; theatre. Ocean Books - An independent publisher with a unique list of books offering a radical global vision of politics and history with a strong focus on Latin America. OR Books - Print-on-demand. One or two books, usually embracing progressive change, are published per month. Paladin Press - Books and videotapes on personal and financial freedom, survival and preparedness, firearms and shooting, martial arts and self-defense, military and police tactics, knives and knife fighting. Paradigm Publishers - Politics, sociology, anthropology. Partisan Press - Mission is the preservation, expansion, and promotion of the literature of our working class, primarily poetry, which might not find a place in profit-driven publishing channels. Peninsula Publishing - Los Altos, CA (USA). Publishing books in the fields of acoustics and a wide range of radio frequency related disciplines. People's Book Society - Concentrating on left radical literature, encompassing feminism, socialism, Marxism and contemporary Indian and the global economics and politics. Perseus Books Group - Committed to enabling independent publishers to reach their potential whether those publishers are Perseus-owned, joint ventures or owned by third parties. Member publishing programs include Avalon Travel, Basic Books, Basic Civitas, Da Capo, Lifelong Books, Running Press, Seal Press, Vanguard Press and Westview Press, as well as partnerships with PublicAffairs and Nation Books, and joint ventures with Weinstein Books and The Daily Beast. Through Consortium, Perseus Distribution and Publishers Group West, the Perseus Books Group is also the leading provider of sales, marketing and distribution services to independent publishers. PM Press - Creating radical and stimulating fiction and non-fiction books, pamphlets, t-shirts, visual and audio materials to entertain, educate, and inspire. PoliPointPress - Sausalito, CA (USA). Books for general audiences on politics and current affairs. Pluto Press - One of the world's leading radical book publishers, publishing the very best in progressive, critical thinking across politics and the social sciences: political classics by writers including Karl Marx, Frederick Engels, Leon Trotsky, Frantz Fanon, Andre Gorz, Manning Marable, Jack London and Antonio Gramsci. Contemporary political writers and voices of conscience include Noam Chomsky, Edward Said, Howard Zinn, Bell Hooks, Ariel Dorfman, Susan George, John Pilger, Ziauddin Sardar, Israel Shahak, Greg Palast, Milan Rai, William Rivers Pitt, Boris Kagarlitsky, Robin Hahnel, Saul Landau, Sheila Rowbotham, Peter Fryer, Joseph Rotblat, Frank Furedi, Eduardo Galeano and Vandana Shiva. Pluto Press also has a fine list of European literature in translation that includes Jean Baudrillard, Guy Debord, Raoul Vaneigem and Pierre Bourdieu. Post-Apollo Press - Sausalito, California. Poetry and experitmental writing. powerHouse Books - New York, NY. Photographic essays and monographs, art photography and visual books. Prickly Paradigm Press - Devoted to giving serious authors free rein to say what's right and what's wrong about their disciplines and about the world, including what's never been said before. Pelican Publishing Company - The largest independent trade book publisher in the U.S. South. Its history is tied to such names as William Faulkner, whose first trade publication was published by Pelican, and Stuart O. Landry, whose vision kept the company alive from 1926 to 1966. Quercus Publishing Plc - Specialises in commercial fiction, non-fiction and children's publishing in digital and print formats and incorporates the MacLehose Press, Jo Fletcher Books and Heron Books imprints. Reel Art Press - Specialised in the production of coffee table publications, with a general focus on the entertainment industry and its output during the classic decades of the 20th Century. Radical Weeds - Mirror Lake, NH. Herbal remedies -- free seeds included with each book. Regent Press - Berkeley, CA. Printing, publishing and graphic design. Rizzoli New York - Rizzoli New York is an integral part of its parent company, the Italian communications giant RCS Media Group. Rizzoli New York began its publishing operation in 1974 and has since become a leader in the fields of art, architecture, interior design, photography, haute couture, and gastronomy. In 1990 the Universe imprint was added, marking Rizzoli's entree into the pop-culture worlds of humor, fashion, beauty, sports, performing arts, and gay and alternative lifestyles. It also contributed a highly successful calendar program and published economical versions of Rizzoli books. Rosetta Books - The company's 800-plus title list includes classic eBooks of every category, as well as an original line of frontlist nonfiction books. Routledge - Publishes hundreds of journals and thousands of new books each year, from offices all over the world. 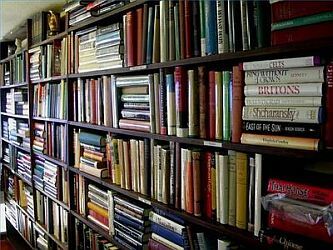 Over 35,000 books in print. SAF Publishing - UK. Rock and pop music books. Saqi - Quality academic and general interest books on the Middle East and North Africa. Salt - Publishes award-winning fiction, poetry and literary criticism. Sarabande Books - Louisville, KY. Quality poetry, essays, and short fiction. Seagull Books - Avant-garde publishing in the arts and literature. Seal Press - Seattle, WA. Quality fiction and non-fiction by women writers. Serpent's Tail - London, England. Publishing voices neglected by the mainstream, the best of all kinds of writing, from literary novels to crime fiction, from work in translation to books on music and politics. Seven Stories Press - New York, NY. Top literary authors; distinguished nonfiction authors committed to social justice, human rights and radical activism; alternative health, women's health, and popular culture. Shambhala - Berkeley, CA. Specializes in books that present creative and conscious ways of transforming the individual, the society, and the planet, including religion, philosophy, psychology and the sciences, the arts and creativity, business and economics, and health and healing. Skyhorse Publishing - New York, NY. Provides a full spectrum of political, theological, cultural, and philosophical viewpoints to counter the increasingly biased environment in mainstream media. Covers everything from nature, sports, country living, history, reference, travel, humor, health, art, business, philosophy, religion, politics, investigative and conspiracy, to fiction, literary nonfiction, science fiction, fantasy, and young adult and children’s literature. Soft Skull Press - New York, NY. Publishes history, pop culture studies, graphic design, art, poetic records and fiction that fuels the revolutionary left. Soho Press - New York, NY. Fiction, with the occasional autobiography or cultural historical account. Also, Soho Crime. Spokesman - Nottingham, England. The publishing imprint of the Bertrand Russell Peace Foundation, publishing mainly in the areas of politics, peace and disarmament, and history. Steidl - German-language publisher, an international publisher of photobooks, and a printing company, based in Göttingen, Germany. Stone Bridge Press - Independent publisher of books in English on Japanese culture. Founded in 1989 by publisher Peter Goodman, the Berkeley-based company has over 150 titles in print and has received numerous awards for publishing excellence, including recognition from the Donald Keene Center of Japanese Culture at Columbia University, PEN Oakland, the Kiriyama Prize, Spirituality & Health magazine's Best Spiritual Books Awards, and the Benjamin Franklin Awards. Sun and Moon - Los Angeles, CA. Literature, fiction, belles-lettres, poetry. Surrealist Editions/Black Swan Press - Evanston, IL. A complete list of currently available publications of the Surrealist Movement in the U.S., plus a selection of Surrealist and other books of revolutionary importance published by other publishers but also available from Black Swan. Switchblade - hardbooiled noir from PM Press imprint. Tameme Chapbooks - Founded by writer and translator C.M. Mayo, Tameme is a nonprofit foundation registered in the state of California. Its mission is to promote English-to-Spanish and Spanish-to-English literary translation by publishing new writing from North America - Canada, the U.S., and Mexico. Tayen Lane Publishing - Oakland, California. Publishes a range of books from children's books to young adult, from nonfiction to graphic novels to thematic anthologies (short stories, poetry) to fiction. Timber Press - A Portland, Oregon, publisher of books on gardening, ornamental and edible horticulture, garden design, sustainability, natural history, and the Pacific Northwest. Toby Press - Brookfield, CT. Never-previously published books from American and British writers. Both first- time novelists of exceptional talent and long-established and experienced writers are represented. Vehicule Press - Montreal, Quebec, Canada. Prize-winning books: poetry, fiction, social history, Quebec Studies, Jewish studies, jazz history, and restaurant guides. Verdant Press - Letterpress printer Verdant Press offers poetry broadsides & chapbooks, Wallace Berman bibliography, d.a. levy bibliography, resources for book collecting and letterpress printing. Verso - New York, NY. Commissioning intelligent, critical works located at the intersection of the academic and trade markets, Verso's list of writers has come to include many key authors in the social sciences and humanities, with particular strength in politics, cultural studies, history, philosophy, sociology and literary criticism. Vision Paperbacks and Fusion Press - London, England, United Kingdom. Vision Paperbacks was founded in 1996 with the aim to provide accessible and controversial investigations into contemporary issues. In 1999, Fusion Press, Vision's general imprint was launched to provide a forum for new voices and established authors in the realms of popular culture, sexuality and alternative lifestyles. W.W. Norton and Company - New York, NY. The oldest and largest publishing house owned wholly by its employees. General interest books, including philosophy, music, and psychology. College books, including the biological sciences, economics, psychology, political science, and computer science. Professional books, including psychotherapy, architecture and design. Xoxox - Small press books. Wallflower - In late 2011, Columbia University Press acquired worldwide rights to publish nearly 170 backlist titles from UK publisher Wallflower Press as well as approximately 70 new titles which will be published over the next several years. Dedicated to publishing high-quality peer-reviewed books in film studies, Wallflower Press was founded in London in 2000 by Yoram Allon. Columbia University Press has been its exclusive book distributor in North and South America since 2001. Zed Books - An independent scholarly publishing house. Publishes books on the following subjects: Area Studies (Africa, the Middle East, Asia and Latin America), Politics and International Relations, Economics, Development Studies, Gender Studies. Zuccotti Park Press - An independent publishing house dedicated to producing works of conscience. Abrams - High-quality art and illustrated books. Abrams publishes and distributes approximately 200 titles annually and currently has over 1,500 titles in print. Adeva - Fine art facsimile editions. African Writers Series - The Series includes over 100 titles from over 50 writers from 20 different countries: fiction, short stories, poetry, and non-fiction and a variety of topics. Amistad - Multicultural fiction and nonfiction. Apress - A technical publisher devoted to meeting the needs of IT professionals, software developers, and programmers, with more than 700 books in print and a continually expanding portfolio of publications. Arcadia Publishing - A leading local history publisher in the United States, with a catalog of more than 3,000 titles in print and hundreds of new titles released every year. Archipelago Books - Press devoted to publishing excellent translations of classic and contemporary world literature. Arthur A. Levine Books - Literary fiction and nonfiction for children and teenagers. Arion Press - Produces fine press limited edition letterpress books with original art, designed and published by Andrew Hoyem, that are handcrafted in the San Francisco fine press tradition. Artisan - A division of Workman Publishing. Back Bay Books - Imprint of Little, Brown focusing on long-term publication of the company's best fiction and nonfiction. Baen Books - Science fiction and fantasy. Baen makes a number of its books available - for free - at its Baen Free Library. Basic Books - Publisher of psychology, science, sociology, politics, public policy and history. Beach Lane Books - A division of Simon & Schuster. Publishes books for all ages and across all genres, with a primary focus on lyrical, emotionally engaging, highly visual picture books for young children. Bentham Science Publishers - Biomedical and pharamceutical publisher. Blue Rider Press - An imprint of Penguin Group (USA), was launched in January 2011 and publishes an eclectic mix of hardcover fiction and nonfiction titles, reflecting President and Publisher David Rosenthal's wide range of interests, including suspense fiction, popular biography, literary novels, humor, music, and contemporary politics. Broadway Books - Politics, cooking, parenting, business, travel. An imprint of Random House. Byliner - A digital publishing company specializing in compelling works of original fiction and nonfiction written to be read in a single sitting. Cahiers d'Art - One of the world's most distinguished publishers of the visual arts. Works directly with artists and their estates to create a revue, books, limited edition books and prints, and catalogues raisonnes - each of which celebrates the artist's individual character and vision. Center for Book Arts, The - Committed to exploring and cultivating contemporary aesthetic interpretations of the book as an art object while invigorating traditional artistic practices of the art of the book. The Center seeks to facilitate communication between the book arts community and the larger spheres of contemporary art and literature through exhibitions, classes, public programming, literary presentations, opportunities for artists and writers, publications, and collecting. Founded in 1974, it was the first organization of its kind in the nation. Chandos Publishing - Library, librarianship, library science and information management books for librarians and information professionals. Cinebook - European comic books for all ages. Consortium of Collective Consciousness Publishing - A 20-year old book and DVD publishing business located in San Francisco. CRC Press - Science and technology, chemistry, life sciences, engineering, mathematics, statistics, information technology, and computer science. Dark Horse - Third-largest comics publisher in the United States. De Gruyter - Theology and philosophy, biology and chemistry, linguistics and literature, mathematics and physics, history and archaeology, as well as law and medicine. Located in Berlin. Also offers service through which you may build your own book. Distributed Art Publishers, Inc. (D.A.P.) - Books on twentieth century art, photography, design, architecture and visual culture. Dods - One of the oldest political publishing house in the world. Dod's Parliamentary Companion is the leading political reference book for everyone with an interest in politics and public affairs. Respected through the years for its accurate and informative entries, Dod's Parliamentary Companion remains the most trusted resource in the industry. Vacher's Quarterly provides the latest, most comprehensive and accurate contact details available on all individuals and institutions within the political arena in both the UK and Europe. Drawn and Quarterly - Comics publishing: Chester Brown, David Collier, Julie Doucet, Max, Debbie Drechsler, Joe Matt, Jason Lutes, Archer Prewitt, Joe Sacco, Seth, James Sturm, Adrian Tomine, Dylan Horrocks, Michel Rabagliati . Eastgate - Publishes original hypertext fiction, nonfiction, and poetry, and we create innovative tools for hypertext writers. Ecco - An imprint at HarperCollins since 1999. Ecco publishes are novels, short stories, poetry, memoir, science, politics, history, and sociology, as well as lavish contemporary cookbooks. Authors include: Russell Banks, April Bloomfield, Anthony Bourdain, Charles Bukowski, Leonard Cohen, Richard Dawkins, Richard Ford, Jennifer Haigh, Robert Hass, Dennis Lehane, Werner Herzog, Czeslaw Milosz, Joyce Carol Oates, Lisa Randall, Ron Rash, Simon Schama, Patti Smith, Cynthia d’Aprix Sweeney, and Amy Tan. Equinox Publishing - London publisher specializing in books and journals in the humanities, social sciences and performing arts. Facet Publishing - Leading international publisher of books for the library and information profession. Fantagraphics Books - Alternative comic artists, underground comix artists, classic comic strips, graphic novels. Future Publishing (UK) - 180 licensed editions in over 28 countries: over 1.5 million licensed versions of Future Publishing's magazines are sold overseas every month, including include Internet Advisor, DC-UK (Sega Dreamcast), PlayStation Max, Planet PC, Official Manchester United Magazine, Hi-Fi Choice, Home Entertainment, the Official Chelsea Magazine, Metal Hammer, Classic Rock, Internet Works, Internet Advisor, and Business 2.0. Gannett Co. Inc. - Large, diversified news and information company in the U.S.
Getty Publications - Fine books on the history of art and the humanities, the conservation of art, architecture, and historic sites, art education, art documentation, and collections at the Getty Museum. Globe Pequot Press - Parent of both Falcon Publishing and the Lyons Press. Titles range from from history, adventure and literature to sports and outdoor recreation, games, science, travel, and more. Grove/Atlantic, Inc. - Grove/Atlantic, Inc. is one of America's oldest independent literary publishing houses. Merged in February 1993, its two imprints, Atlantic Monthly Press, founded in 1917, and Grove Press, founded in 1951, have over the last 90 years published thousands of titles that have made an important contribution to American and world culture. Grove Press was founded in 1951 Barney J. Rosset, Jr. - a maverick in twentieth-century publishing. It was under Rosset that Grove brought to national prominence the art and artists of the counterculture, of the post-World War II disillusionment in Europe and America: the San Francisco and New York Beats, the French Surrealists, the dramatists of the Absurd. Grove Press introduced to America or broadened the audiences of such writers as Samuel Beckett, Jorge Luis Borges, Bertolt Brecht, William S. Burroughs, Frantz Fanon, Jean Genet, Eugene Ionesco, Jack Kerouac, Henry Miller, Kenzburo Oe, Harold Pinter, John Rechy, Alain Robbe-Grillet, Hubert Selby, Jr., John Kennedy Toole, and Tom Stoppard. Grove's books have broken down sexual, cultural, and political barriers and introduced American audiences to foreign writers at a pace that has yet to be matched by any other U.S. publisher. Atlantic Monthly Press was a book imprint founded in 1917 out of The Atlantic Monthly Press magazine. During the next 67 years, the Press's books won more than sixteen Pulitzer Prizes and National Book Awards. Among the Press's best-selling award winning titles published during those years were Mutiny on the Bounty, Goodbye Mr. Chips, Drums Along the Mohawk, Ship of Fools, Fire in the Lake, The Soul of the New Machine, and Blue Highways. Guilford - A publisher of books, periodicals, software, and audiovisual programs in a wide range of mental health and social science disciplines. Hachette Book Group - A division of Hachette Livre, publishes under the divisions of Little, Brown and Company, Little Brown Books for Young Readers, Grand Central Publishing, FaithWords, Center Street, Orbit, and Hachette Digital. Harbor Electronic Publishing (HEP) - Founded by publisher/writer James Monaco to focus on diverse print and digital products that span the media. HarperCollins - Broad-based publisher with strengths in literary and commercial fiction, business books, children's books, cookbooks, general interest, religious and spiritual books. Hatje Cantz - High-quality production and global distribution of individually designed, carefully made books. Titles in art, photography, and architecture from around the world. Hearst Corporation - Major interests include magazine, newspaper and business publishing, cable networks, television and radio broadcasting, Internet businesses, television production and distribution, newspaper features distribution, and real estate. Henry Holt and Company - Publishes approximately 175 books a year, including hardcover fiction and nonfiction; Books for Young Readers; Metropolitan Books; and Times Books. Holt's current authors include Pulitzer Prize winners David Levering Lewis and Robert Olen Butler; national bestselling authors Thomas Pynchon; Salman Rushdie and Paul Auster. HighWire Press - One of the two largest free full-text science archives on earth. An Internet imprint of Stanford University Libraries assisting in the online publication of approximately 150,000 free full-text articles and 640,000 total articles. Houghton Mifflin Harcourt - Reference works, textbooks, fiction, and non-fiction, educational software and video. Also see Mariner Books. House of Anansi - Specializes in finding and developing Canada's great new writers of literary fiction, poetry, and nonfiction, while maintaining a culturally significant backlist that has accumulated in the 45 years since the house was founded. Holtzbrinck Publishing Group - A Stuttgart-based publishing holding company which owns publishing companies worldwide. Holtzbrinck has published everything from The Satanic Verses of Salman Rushdie to classics by Agatha Christie, Jean-Paul Sartre, Ernest Hemingway and John Updike. Other well-known publications are Nature and Scientific American. Hyperion - Publishes general-interest fiction and nonfiction books for adults. Hyperion includes the Talk Miramax, ESPN Books, ABC Daytime Press, and Hyperion East imprints. IDW Publishing - Comic books, graphic novels and trade paperbacks. IHS Janes's - Publishers of Jane's Defence Weekly, Jane's Fighting Ships and Jane's All the World's Aircraft. The Jane's product line includes weekly, monthly, quarterly and annual information products with almost 200 releases in varied frequency and media in any given year. Infobase Publishing - Print and electronic reference products. International Maritime Organization (IMO) - IMO has over 250 titles available in English. Many are translated into French, Spanish, Arabic, Chinese and Russian. ISI Books - Conservative publisher of original titles, classic reprints, and collections of writings by leading in the humanities and social sciences. It Books - HarperCollins imprint publishing books in entertainment, music, fashion, design, art, celebrity, pop culture and sports. Ivan R. Dee Publisher - Biography, history, literature, philosophy, religion, theatre, and drama trade publishing. A member of the Rowan and Littlefield Publishing Group. Jones & Bartlett Learning - A division of Ascend Learning. A provider of instructional, assessment, and learning-performance management solutions for the secondary, post-secondary, and professional markets. Knopf Publishers - Publisher of notable hardcover fiction and nonfiction. Koyama Press - A Toronto-based small press: comics, graphic novels, art books, and zines. Krause Publications - Leisure magaines and books. Krause's periodicals and books include price guides and catalogs that track the value of coins, old cars, sports cards, firearms, comics, stamps, toys, antiques, records, militaria and collectibles. Library of America - Recognized by scholars and the general public as publisher of the national edition of U.S. literature. Little, Brown and Company - Little, Brown and Company was founded in 1837 and for close to two centuries has published fiction and nonfiction by many of America's finest writers. Early lists featured Little Women by Louisa May Alcott, Emily Dickinson's poetry, and Bartlett's Familiar Quotations, all of which are still available today. In 1993 Little, Brown created a new trade paperback imprint, Back Bay Books, to focus on long-term publication of the company's best fiction and nonfiction and to publish original trade paperbacks. Little, Brown is also the home of Bulfinch Press, a leading publisher of art and photography books. Lone Pine Publishing - Nature, outdoor recreation and popular history. M. Moleiro - Specialises in the identical reproduction of illuminated manuscripts and atlases. McClelland & Stewart - Fine fiction of many well-known Canadian authors as well as poetry, and books dealing with environmental and Native issues, problems in the justice system, Canadian history and other matters of Canadian national concern. McGraw-Hill - Professional, reference, and trade publishing. General interest books, reference works, study guides, and software, multimedia and online products. McGraw-Hill Computing - Self-paced computer training materials that include user and reference guides; computer certification series; titles on networking, communication, programming and web development tools. Modern Library - The Modern Library was founded in 1917 by Boni and Liveright, one of the most important publishing houses of the early 1920s. It was their idea to provide American readers with inexpensive reprints of European modernist titles, plus the work of a few contemporary Americans. The series was a cash cow for the publishers, but by 1925 the rest of Horace Liveright's business wasn't doing well (he had bought out Albert Boni a few years earlier). Needing the money, Liveright sold the Modern Library to one of his employees, a twenty-seven-year-old vice-president who wanted to go into business for himself. The new publisher was Bennett Cerf. Cerf and his friend Donald Klopfer set up the Modern Library, Inc., on August 1, 1925. They added more American writers to the series and some older classics, and two years later, finding that they had time to spare, they started Random House as a subsidiary of the Modern Library. Modernbook Editions - Publishes photographic monographs for artists such as Tom Chambers, Fan Ho, Brigitte Carnochan, Fred Lyon, and Geir Jordahl. Mysterious Press - Founded by Otto Penzler in 1975, it was dedicated to putting out the best books by acclaimed authors. Now the press has gone digital with MysteriousPress.com, bringing classic works of crime, mystery, suspense and espionage to electronic reading formats. National Academies Press - Created by the National Academies to publish the reports issued by the National Academy of Sciences, the National Academy of Engineering, the Institute of Medicine, and the National Research Council, all operating under a charter granted by the Congress of the United States. NAP publishes over 200 books a year on a wide range of topics in science, engineering, and health. New Falcon Publications - Publisher of controversial books. Nextbook Press - A gateway to Jewish literature, culture and ideas. Nimbus - Publishing house for art , contemporary photography and literature. O'Brien Press - Irish general publisher of adult and children's books. O'Reilly - A leading publisher of books for UNIX, X, the Internet, and other open systems, as well as a pioneer in online publishing. Oak Knoll Press - Specialties continue to be books about book collecting, book selling, bibliography, libraries, publishing, private press printing, fine printing, bookbinding, book design, book illustration, calligraphy, graphic arts, marbling, papermaking, printing, typography and type specimens plus books about the history of these fields. .
Ooligan - A teaching press dedicated to the art and craft of publishing. Open Road Media - A digital publisher and multimedia content company. Open Road creates connections between authors and their audiences by marketing its ebooks through a new proprietary online platform, which uses premium video content and social media. Also the home of Forbidden Bookshelf. OR Books - Alternative progressive publishing: print-on-demand and e-books. Osprey Publishing - Military history. Quarto Group - A leading international illustrated book publishing group. Overlook Press - Generalist publisher of trade books from art/design, to fiction/poetry, to travel/adventure. Pantheon Graphic Novels - Fine books of graphic art and text. Penguin - Publishers of bestselling fiction, nonfiction, classics, and children's books. A Penguin Random House Company. Paraview - Represents authors who are leaders in the fields of spirituality, psychology, alternative health, science, culture, and the environment. Periodicals Service Company & Schmidt Periodicals GmbH - Major reprinters of academic journals and specialize in the supply of antiquarian backsets, back volumes and back issues of out-of-print journals and serials. Peter Pauper Press - A publisher of fine books, personal diaries, travel guides, journals & stationery. Phaidon - World's leading publisher of books on the visual arts. Picador - Literary trade paperbacks. Picador authors of fiction and non-fiction include Pulitzer Prize winners Michael Chabon, Michael Cunningham, Marilynne Robinson and Jeffrey Eugenides; National Book Award winners Shirley Hazzard, Susan Sontag and Jonathan Franzen; and National Book Critics Circle Award winners Jim Crace and Philip Gourevitch. Picador's bestselling authors include Anita Diamant, Augusten Burroughs, Salman Rushdie, Lorrie Moore, Atul Gawande and Tom Wolfe. Polity - International publisher in the social sciences and humanities. Popular Press, The - Ray B. Browne and Pat Browne, founders and longtime directors of Popular Press, have promoted and encouraged the scholarly study of popular culture through their efforts at the Popular Press, the Journal of Popular Culture, the Popular Culture Association, and the Department of Popular Culture at Bowling Green State University in Ohio. A leading publisher of books on popular culture, throughout America and worldwide for the past three decades-The Popular Press is now an imprint of the University of Wisconsin Press. powerHouse Books (pH) - Photography and art. Publishers Group West (PGW) - Leading book sales and distribution company in the United States, representing over 100 independent client publishers. Raincoast Books - Specializes in providing comprehensive sales, marketing and distribution services to a select number of international publishers. RAM Publications - Architecture, art and culture, designe, grahics and typography, photography, theory and writing. RAND - RAND books, reports and other publications can be purchased online, or downloaded for free in PDF format. RAND makes its research available for free as a public service. Browse RAND Publications Online by Research Category. Routledge Education - Part of the Taylor & Francis Group, and publishers of books and journals on all aspects of education. Provides information on books, journals, eBooks, links to related sites. Royal Society Publishing - Publishes seven journals, covering the biological and physical sciences, as well as the history and philosophy of science. This site provides a range of services and facilities including access to the Society's journals, news of recently published science and the opportunity to buy our publications online. Russell Sage Foundation - Publishes titles in the social sciences, under its own imprint - books that derive from the work of its grantees and visiting scholars. Saffron Books - Art, archaeology and architecture, art history, current affairs and linguistics. Scarecrow Press - Known for scholarly bibliographies, historical dictionaries, library science monographs, and reference works in the humanities, particularly music and film. Schiffer Publishing - From its traditional subjects of antiques and collectibles, arts and crafts, and military history, Schiffer has expanded its catalog to publish books on contemporary art and artists; architecture and design; food and entertaining; the metaphysical, paranormal and folklore; and pop and fringe culture, as well as books for children. Simon & Schuster - Consists of numerous imprints, including Simon & Schuster, Scribner, Atria, Touchstone, Threshold Editions, Gallery Books, Free Press, Pocket Books, Howard Books, Simon & Schuster Books for Young Readers, Atheneum Books for Young Readers, Simon Pulse, Aladdin, Little Simon, and Simon Spotlight. See Divisions and Imprints. Smashwords - An ebook publishing and distribution platform for ebook authors, publishers, agents and readers. Provides multi-format, DRM-free ebooks, ready for immediate sampling and purchase, and readable on any e-reading device. Stone Bridge Press - Books on Asian philosophy, art, religion, and literature. Children's books, fairy tales and nature stories. Sunday Press - Exceptional comics reproductions such as Forgotten Fantasy, Krazy Kat, Visitors from Oz, Upside-Downs, Little Nemo in Slumberland, Walt & Skeezix, and Sammy Sneeze. Taschen - Art, architecture, design and photography. Also see Downloads page for catalogs and teasers. Thames and Hudson - High-quality, beautifully printed books on art, architecture, design, photography, decorative arts, archaeology, history, religion, and spirituality, as well as a number of titles for children. Top Shelf Productions - Based in Marietta, Georgia, has published critically acclaimed and popular graphic novels since 1997. Turtleback Books - Prebound books exclusively to wholesalers and resellers serving the library and school markets. Unbound - Puts the power of publishing in the hands of authors and readers. Authors pitch their book ideas directly to you. If you back a project before it reaches its funding target, you get your name printed in the back of every copy and immediate behind-the-scenes access to the author's shed. If any project fails to hit its funding target, you get refunded in full. Vanguard - Art, fantasy, graphic novels, prints, science fiction, music, mystery, and more. Wiley - A global publisher of print and electronic products, specializing in scientific, technical, and medical books and journals; professional and consumer books and subscription services; and textbooks and other educational materials for undergraduate and graduate students as well as lifelong learners. Witherby Seamanship International - Marine and shipping business portfolio. Workman Publishing - Books and calendars. This webpage last updated on Saturday, March 9, 2019 6:27 PM.